Christelle Kwizera is the Founder of Water Access Rwanda, an award-winning innovative social enterprise offering tailor-made solutions in the field of collection, distribution and purification of water. Christelle Kwizera, 25, is a Rwandan mechanical engineer and social entrepreneur. In 2014, Christelle founded Water Access Rwanda, an award-winning innovative social enterprise offering tailor-made solutions in the field of collection, distribution and purification of water. The enterprise has provided water to over 100,000 Rwandans through a network of 82 boreholes and INUMA™ purified clean water microgrids. Water Access Rwanda was the only Rwandan enterprise to ever be awarded with the prestigious Africa Entrepreneurship Award. Her work in water and geophysics has also seen her train and support the development of social water businesses across the African continent with partner, Water4. With her strong academic background and deep commitment to environmental, youth and gender issues, Christelle has managed to get the attention of development leaders and enablers who have awarded her with fellowships and awards for her various initiatives and volunteering efforts. In her home district, she was elected to be the economic commission head in the Joint Action Development Forum. Ms. Kwizera is a regular speaker and activist on the national and international stage, and is involved on a high level in keeping leaders accountable to their people, especially in promoting youth initiatives. 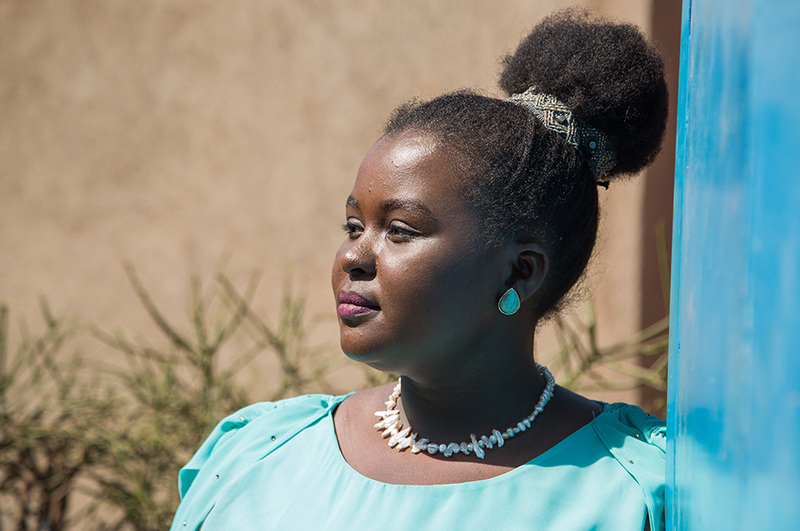 A faithful steward, Christelle lives to see her God-given gifts multiplied through service.